Holiday cactuses are not the spiny plants that we have in our cactus garden. These cactus plants are epiphytes that originate from the tropical treetops of the rainforests and natural forests of Brazil. These cactuses produce beautiful blooms that vary in color from bright orange, red, and purple to more subtle pink and white colorations. There are three varieties of holiday cactus; the Thanksgiving cactus (Schlumbergera truncata), the Christmas cactus (Schlumbergera bridgesii), and the Easter cactus (Rhipsalidopsis gaetneri). These three plants all look alike, and they require similar care, but there are differences that you should note. Let’s take a more in depth look at each variety. The leaves of Thanksgiving cactus plants are broad and flat with small serrated edges. These plants often bloom in shades of pink, yellow, white, or red, which adds a bright contrast to your traditional fall décor. The blooms of this plant typically last two to four months, but in order for them to bloom again the following year, you need to trick the plant into entering a dormant stage by providing it with less light and colder temperatures. One of the most important aspects you need to consider when caring for a Thanksgiving cactus is the amount of water you need to give the plant. It needs to grow in soil that is moist, but it cannot be dripping wet because these plants are used to the tops of the trees where there is less moisture and more sun. These plants do like sun, but direct sunlight is not necessary. Humidity will also help this plant thrive as that is the way that these plants naturally wet their roots in nature. These plants should be pruned during the summer months, and prepared for their Thanksgiving blooming period in September. During this time, the plant needs 12 hours of darkness a day. Propagation of these plants begins with a stem that has a few leaves attached. Allow the stem to callus, and then plant it in soil and tent the plant to keep the humidity level around the plant up. 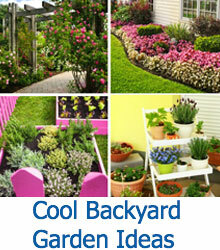 Allow the cutting to have an hour of fresh air each day, and in three weeks, the cutting should take root. It will take a few years for the Thanksgiving cactus to bloom. Christmas cactus plants are very similar to Thanksgiving cactus; in fact, they are often mistaken for them, but there are differences that appear mainly with the stems, leaves, and the blooming period. This variation of holiday cactus has very flat stems and broad leaves that have rounded indentations. They are still segmented leaves, but they actually look quite different when you look at the foliage. Blooms are typically red and white, but yellow and white is also pretty common. The plant needs to be grown in a temperature of about 68 degrees Fahrenheit, and it requires a lot of light, but indirect sunlight is best. Make sure to keep the soil moist, but do not over water the plant; just water when the top of the soil feels dry to the touch. 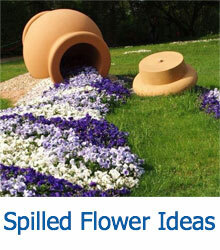 Make sure the soil is well-draining because these plants do not like to sit in water. Mist the leaves to give the plant the tropical feel that it would receive in nature as well. Since this is a Christmas cactus, it is meant to bloom near the Christmas holiday. To make sure that this occurs, you may need to force the plant into a dormant state This means that the plant will need at least 12 hours of darkness each day, less water, and temperatures of about 55 degrees Fahrenheit. This dormant period should begin in October and last for about four to five weeks. When this is done correctly, you will have beautiful blooms for Christmas that will last for a period of eight weeks. This is another type of holiday cactus that is similar to the Christmas and the Thanksgiving variety, but the main difference between these plants is that the Easter cactus blooms in the spring of the year. 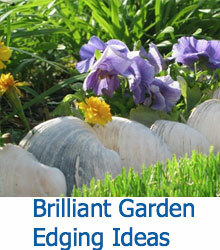 They typically begin budding in March, and blooms can be enjoyed during April and May. The leaves also vary a bit from the other two plants that we have discussed. These leaves are still segmented and broad, but they have small bristles at the ends of the foliage that help distinguish them. In addition, the flowers themselves are a bit more star-shaped than the others. 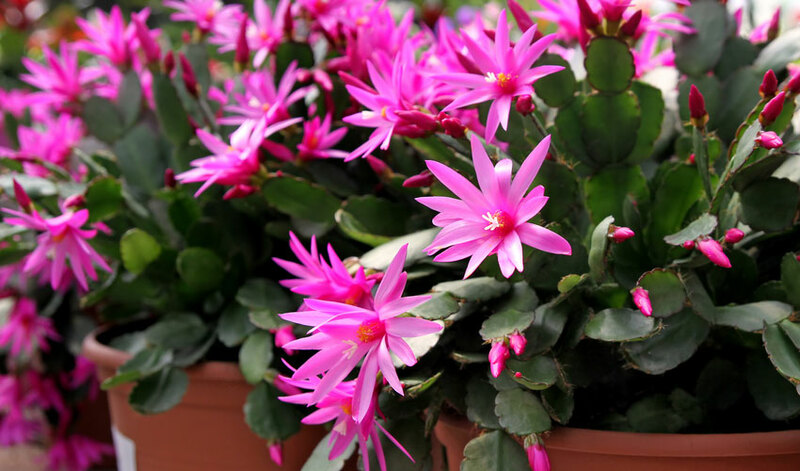 The blooms that form on Easter cactus plants are often a bit brighter in coloration, so you can expect to see bright pinks, reds, and royal purple petals, which are perfect for adding a festive aspect to your dining area for Easter dinner. There are a few variations that produce white blooms, but they are less common than the bright vivid blooms. 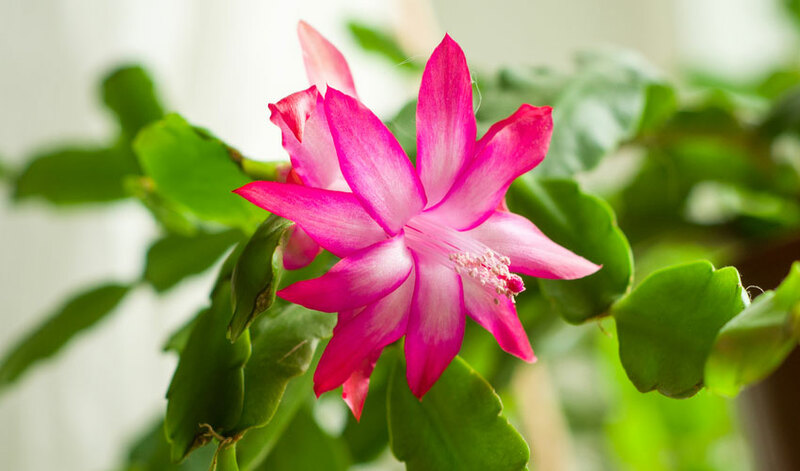 These plants require the same indirect sunlight and well-drained soil, but they are especially sensitive to excess water, so make sure to wait until the top of the soil is dry before watering your Easter cactus. They are also a little stubborn, so too much shade and too much direct sunlight will cause issues. The trick to getting your Easter cactus to produce beautiful blooms is to grow the plant outdoors from June until August. Make sure it is located in a shady place, and when fall arrives, bring the plant indoors to get rest during the cold months of the year. Buds should start to appear in late February or early March. Limit direct sunlight and water during the resting period, and try to keep the temperature between 45 degrees Fahrenheit and 59 degrees Fahrenheit. Even though holiday cactus plants tend to look similar, look more closely at the leaves. This is the best way to tell the three plants apart other than the time of year that they bloom. If the plant has broad, thin leaves that have three points on each side, you are looking at a Thanksgiving cactus. Christmas cactuses have segmented leaves that are more round with small indentations, and Easter cactus plants have small bristles on the edges of their leaves. 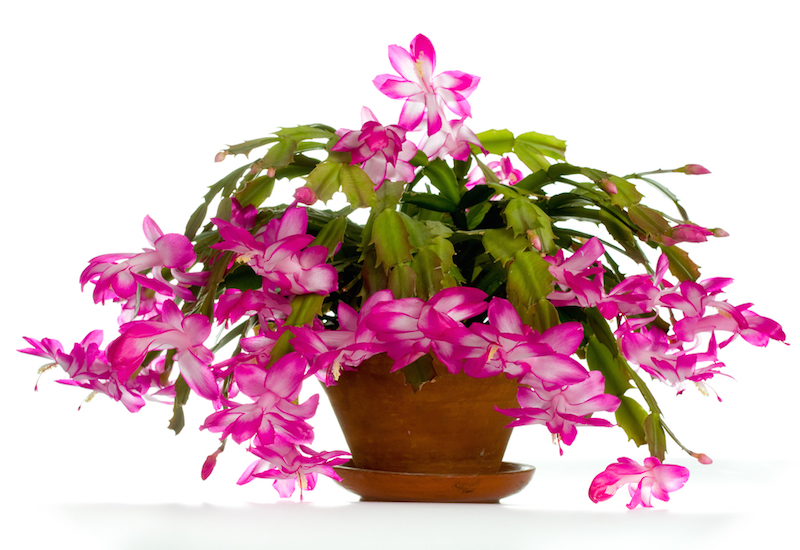 All Holiday cactus needs to be forced to bloom, which occurs about two months before the blooming period. This requires a few weeks of shorter days, less water, and longer periods of uninterrupted darkness. Never overwater these plants because these tropical plants are sensitive to excess water on their roots, especially the Easter cactus. 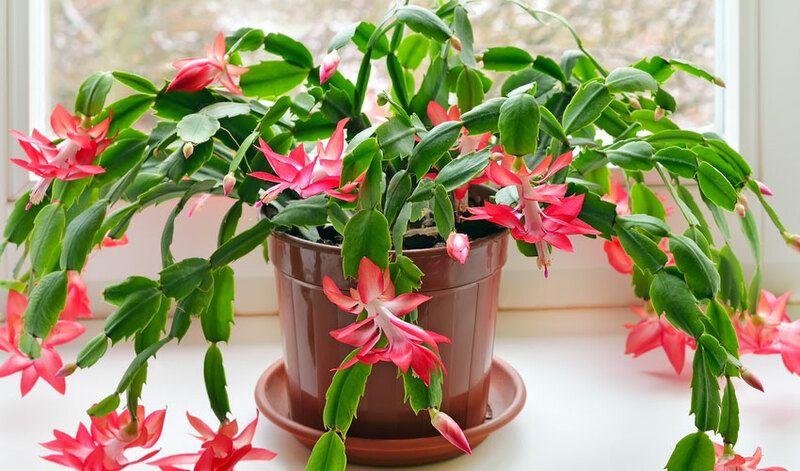 High temperatures, excessive heat fluctuation, and dry air is not ideal for a holiday cactus, so if your home is excessively dry because of a wood stove or another form of dry heat, make sure to mist the leaves to create humidity around the plants. If you want to make your home more festive for the holidays with a holiday cactus, it is important to be able to tell which plant you have. You do not want to hope for Christmas blooms and end up with a flowering plant in the spring. Now that you can differentiate between a Thanksgiving cactus, a Christmas cactus, and an Easter cactus, make sure that you have the plant that you think you are growing. They are all easy to care for and maintain, so you can easily have a few of each if you want.